Stormi Webster's birthday is almost here! Kylie Jenner and Travis Scott's baby girl will celebrate her golden birthday on Feb. 1, and the E! star is already prepping for her daughter's special day. On Monday night, after returning home from a trip to Aspen, Kylie shared videos on social media of Stormi with presents, admitting that her baby girl is still opening up her Christmas gifts. "p.s. already wrapping Stormi's bday gifts," Kylie told her followers on Instagram Story. "I'm too excited." Kylie actually confessed all the way back in June that she'd been thinking about Stormi's first birthday party. While on her way to celebrate Khloe Kardashian's 34th birthday over the summer, Kylie shared some party details with her fans on Snapchat. "Stormi is gonna be five months this weekend, which really is trippin' me out," Kylie told her social media followers. "That means we're halfway to a year, almost, and I'm already thinking about her first birthday and how it's gonna be epic, OK?" Kylie added that she was going to do "super magical unicorn theme" but North West and Penelope Disick beat her to it. "So I have to think of something else," she shared with her fans. While Kylie and Travis welcomed their baby girl into the world on Feb. 1, they waited a few days before announcing her arrival. After keeping her pregnancy very private, Kylie confirmed her daughter's birth in a post to her fans on Feb. 4. 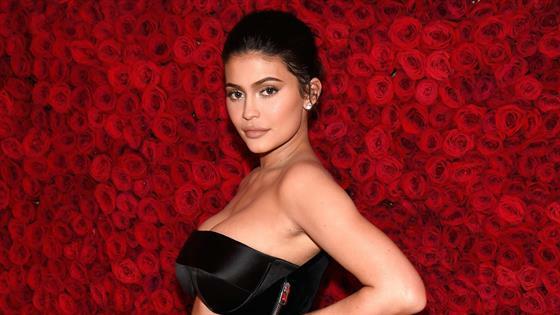 "Pregnancy has been the most beautiful, empowering, and life-changing experience I've had in my entire life and I'm actually going to miss it," Kylie wrote to her social media followers. "I appreciate my friends and especially my family for helping me make this special moment as private as we could. My beautiful and healthy baby girl arrived February 1st and I just couldn't wait to share this blessing. I've never felt love and happiness like this I could burst! Thank you for understanding." A source recently told E! News that Kylie, who has been sparking engagement rumors with Travis, "can't wait" for Stormi to have siblings.